Mud Sweat and Tears | Quitters don't run. Runners don't quit. 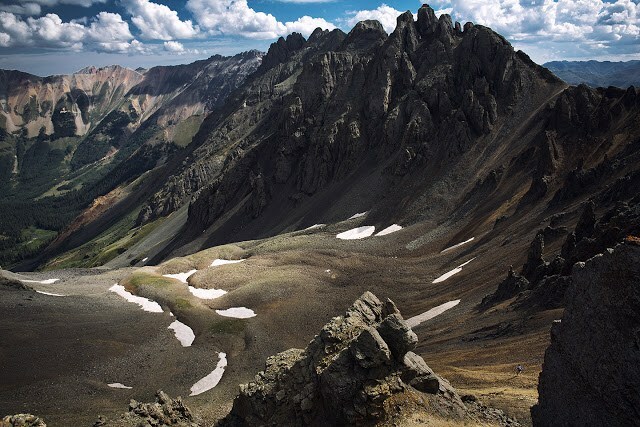 Get trained and participate in running in some of the most difficult terrains. 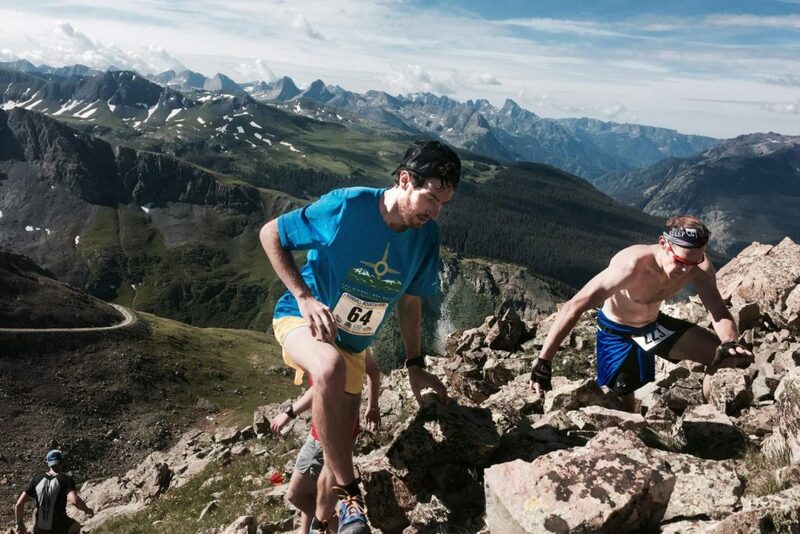 Mountain running is an entirely different ball game. It requires a lot of strength and stamina. The most important thing to do is to equip yourself by training regularly with full dedication. Sign up to our site with your mail id to get regular updates. run through the woods to relive your life. Slow down- rather than going for a quick start and slowing in the middle of the race, you should slow down from the starting so that you will be able to maintain the same pace on trail as there are a lots of obstruction that you will find on the way which includes rocks, trees, leaves and roots which might affect your pace adversely. Pay attention to time and not pace- when running from road to trails, you should always keep in mind that running on the road is easier than on the trails and therefore you should ensure that you are covering the desired distance in a set period of time rather than your pace. Keep safety in mind- trail running involves a significant amount of risks and hence you should always ensure that you are safe and for this you will need to do prior preparation with the right gears and equipment that will help you to undertake safe journey through the woods. You also need to download safety apps and have pepper spray that will protect you when you are in an unknown location. on the marked trails, running through the puddles and ensuring that you are following all the safety measures. 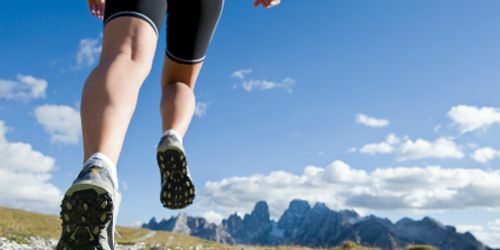 Take short and quick strides- rather than running for a longer distance at one go, you should opt for shorter and quicker strides so that you will enjoy trail running to the fullest rather than being exhausted midway. 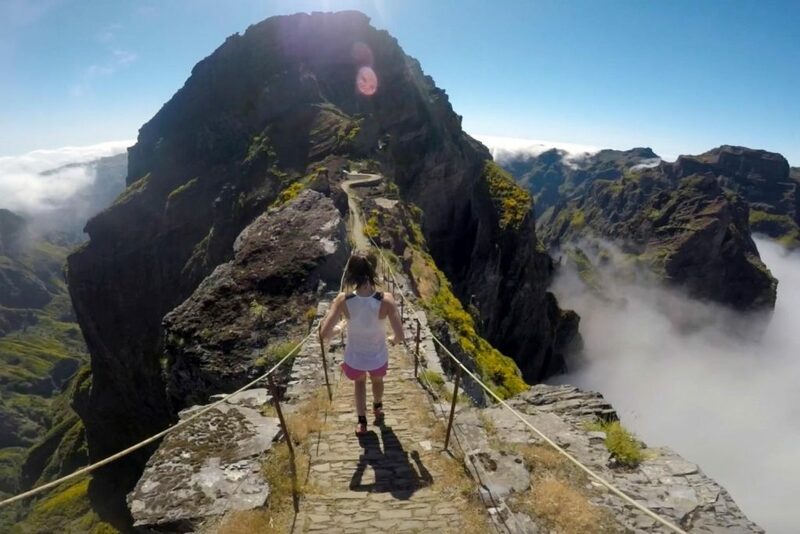 Adapt the new environment– you will need to know the different environmental conditions while going for trail running so that you can make preparations beforehand so that you will enjoy running. In what will be fondly remembered as a sunny but breezy day in the Yorkshire Dales, Tom Owens today carved his name in fell running history as a winner of one of the most iconic races on the fell calendar, the Yorkshire 3 Peaks in an excellent 2.53.34 for the 23.3 mile route. Speaking after his win Tom described his mammoth effort in tough conditions as “the race of my life”, strong words from a guy who has such races as the Carnethy 5 and the Trans Alpine run amongst his list of wins. His second place in 2008 had not only set his appetite to win this race one day, but also given him the tool of course knowledge to set up today’s win. Owens triumphed after a big tussle up to Ingleborough with Shettleston team mate Jethro Lennox, but was able to pull away in the closing miles to register what he considers his biggest win yet. Scottish teenager Robbie Simpson ran an amazing debut on the 3 Peaks route to finish second, with Ambleside’s Ben Abdelnoor running an equally amazing race to finish third. In the women’s race Anna Frost also returned to the 3 Peaks to tie up what she described as ‘unfinished business’ with this route, after finishing fourth on he previous visit in 2008. After a good battle with Calder Valley’s Jo Buckley, Frosty took over after Whernside and ran strongly onto Ingleborough and into the finish in Horton-in-Ribblesdale, to put her name alongside the likes of Sarah Rowell and Angela Mudge on the role call of winners of this race. Helen Fines ran very strongly to finish second, with Shettleston’s Fiona Maxwell in third. A further report, with reactions and 3 Peaks gallery will appear on MST early next week, as time is a little tight this weekend – sorry! After three years of stormy conditions and heavy rain the organisers were hopeful of some respite for the runners (who came from 14 countries). But as the race got off at 10.30am, started by First Hydro’s Brian Tindall, rain and high winds were already the order of the day and over the next 6 hours the unpredictable Snowdonian weather took hold with torrential rain, gale force gusts and hail all adding to the spice of this event which lived up to its billing as the toughest and most scenic in the UK. Nearly 2000 runners set off from just outside of the village of Llanberis, now considered the ‘outdoor capital of Wales’ due to the preponderance of sporting events over the course of the year. However, it is this historic event which is perhaps the toughest, due in part to the unpredictable nature of the weather in this part of Wales at this time of the year. But the elements were not to deter these intrepid competitors, and following the race all talk has been of a superbly organised event, testimony to the organising team and their dedication to this classic event on the Welsh sporting calendar. “I felt really good in the first half of the race, and I knew I had to watch Richie (Gardiner), and it was just two of us pushing it on from about 11 miles onwards. We got to about 19 miles and felt like I should make an effort and started to get a gap. The last three miles over Bwlch y Groes are tough, no matter how good you feel and coming off the descent I fell over as I was wearing racing flats, but luckily no damage was done. I then just put my head down and went as hard as I could into the High Street and, well, the feeling coming up the finishing straight with the crowd going mad was amazing”. With 2010 winner, and recent gold medalist at the Commonwealth Ultra Trail Championships, Richie Gardiner taking to the start line, all talk was of who could stop the Aberdare man taking a second straight win. However, 55km of tough Anglesey trails and the Cardiff Half Marathon over the last four weeks would ultimately take their toll on the Welshmen, as he eventually finished in third place. The South Wales policeman obviously has a love for this race now, as he has vowed to return in 2012. “Oh yeah I’ll be back, if you’ll have me”, he concluded. Splitting to two Welsh runners was Scot, Murray Strain. After finishing second at this year’s Snowdon Race, he ran very strongly for yet another runner-up spot in north Wales. The GB international orienteer was running his marathon debut and also found the conditions tough, and despite being a seasoned fell runner found the last thigh-burning two miles extremely difficult. Asked if he would be returning to the event his words were “most certainly”. One notable top 10 finisher was Jez Bragg (7th). 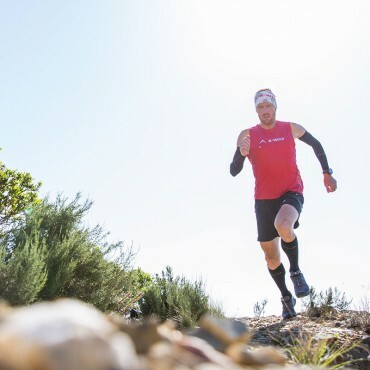 The ultra specialist is a previous winner of the famous UTMB race in France and this year finished 4th in the world renowned US 100 mile trail race, the Western States. Further testimony to the quality of this race was underlined in the fact that all of the top runners ran inside 2 hours and 50, in addition to that fact 8 of the first 12 runners were Welsh. Backed up superbly by Math Roberts in 6th (2.44.07) and Gwyn Owen in 9th (2.49.39), Rob Samuel led the Eryri club to the team award. 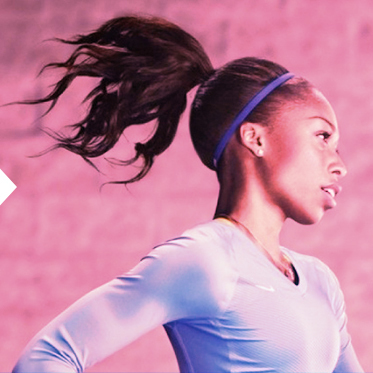 The women’s race proved to be a highly dramatic story. Winner Kelly Morgan only hit the front in the last mile, after overhauling Ruth Johnstone (3:12:11) to win by just 39 seconds. 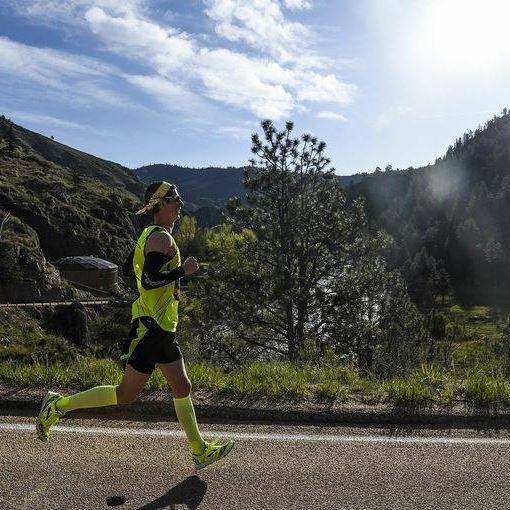 Johnstone – returning to the race after giving birth in 2010 and missing last year’s event – had led the race for almost 18 miles, and simply couldn’t descend as quickly as Morgan when it counted. “I don’t know where it came from! I took it steady in the first half of the race, and afer about 14 miles just ran faster and faster to the finish. I am completely amazed, but very, very happy”. Her time of 3:11:32 was some 6 minutes outside of the course record set by Christine Howard in 2010. Exmouth runner Ellie Sutcliffe made up the top 3, finishing strongly in 3:13:50. The quality of the women’s race was also underlined with all of the first five runners finishing within 6 minutes of each other. “We’re extremely pleased with the event from an organisational perspective”, said race organiser Jayne Lloyd. “and the fact that our winners were of such a high calibre once again cements the event as one of Wales’ premier races. “The whole organising and volunteer teams were amazing, and we had some great backing once again from our sponsors and partners, especially First Hydro. 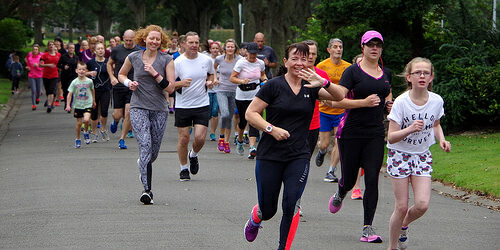 The high street finish is now a permanent fixture and has certainly added to the event and comments and feedback from the runners have been highly complimentary, despite the weather!”, Jayne concluded. With one of the most significant publications in off road running being announced this week, we couldn’t leave it there. MST wanted to get to the bottom of this new title and to the heart of the question: Why? If the enthusiasm of the Trail Runner team is a metric then this should be a great magazine. 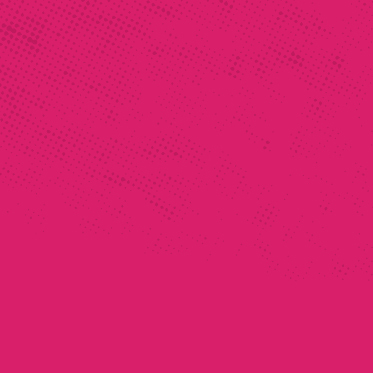 Editor Claire Maxted was positively enthusiastic about the idea of us prying into Bauer Media’s new baby – and even offered up some sneak peaks on page layout and the all important mag logo. MST: What was the catalyst for ‘Trail Runner’? TR: The catalyst was our team noticing a rise in the popularity of trail, off-road, adventure and orienteering races in the past few years, plus an increasing number of outdoor manufacturers we normally associated only with walking branching out into the trail running market. MST: Was research done into the demand for a dedicated trail running magazine? TR: At the main trade shows the idea was cast about and met with favour from many in the industry. On the web and in real life, outdoor activities like trail running and adventure racing are becoming sexier and sexier sports, but looking at the newstand immediately showed us that despite there being a massive number of mags for fitness and road running, there was no magazine dedicated to off-road running. There are European off-road mags out there, for example the French ‘Trail Endurance’ so with Trail Runner we aim to fill this gap in UK magazines with a newbie and intermediate friendly publication. MST: Who will be the target readership for the magazine? TR: Our reader is any mad person who likes to run off-road, or at least enjoys celebrating a hilly jog with a pint afterwards! 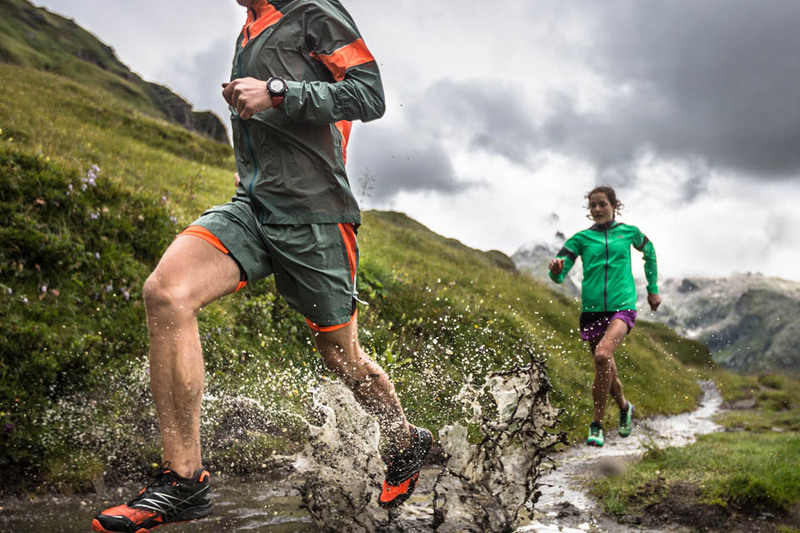 Trail Runner caters very much for people new to the sport, who may not even have run before, or only run on roads. 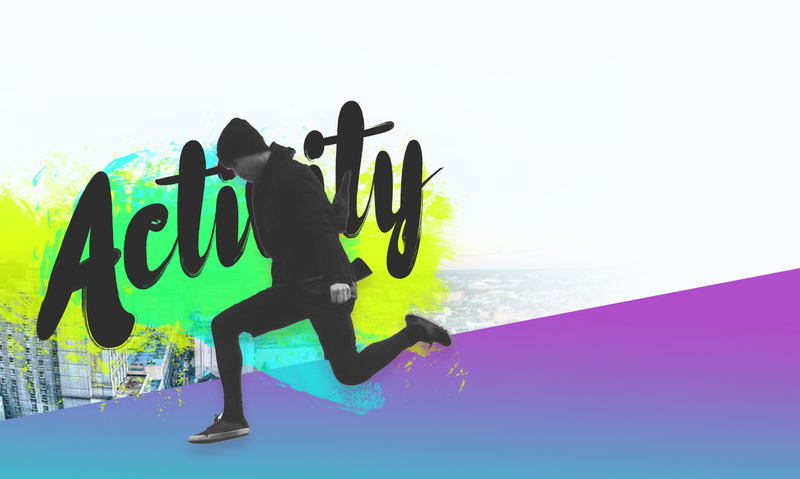 It also encourages and inspires intermediate trail run enthusiasts looking to improve their performance with the Training Zone, helps them find new places to run, check out the very latest running gear and races to aim for. Advanced and elite runners may find Trail Runner an inspirational read, or just buy it to find their name within the pages as we have used the advice of many of them! MST: Is there a longer-term plan for the publication to become a monthly title? TR: Trail Runner is going out as a supplement with Trail magazine, the UK’s best selling walking monthly, on May 18th as part of the June 10 issue. Stand alone issues will then stay on newstands for two-three months, or less if they sell out, so we can gage the popularity of the magazine in its own right. If the magazine is a success there is a good chance we will create issue 2 later in the year…but you’ll have to wait and see! Having been kindly pointed in the direction of this captivating article I thought it would be the done thing to share it with MST readers. 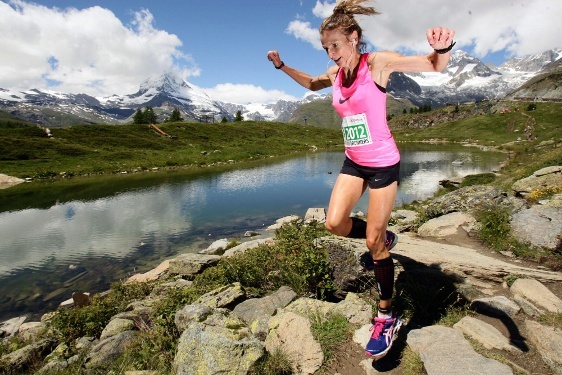 An absolutely fascinating piece on one of the most talented fell and road runners in history. With many of his records still standing today Kenny Stuart truly was King of the Mountains! In the three years between 1983 and 1986 the dominant figure in British fell running was Kenny Stuart from Threlkeld in Cumbria. During this period Kenny swept all before him, becoming the first athlete to win the coveted British Fell Running Championship three times and the first British Champion to win a World Mountain Running Trophy title. He also set a host of course records in ‘classic’ events such as Ben Nevis, Snowdon and Skiddaw (all of which still stand today). Prior to his reinstatement as an amateur in 1982 Kenny was a very successful professional guide’s racer, winning British titles in 1980 and 1981 (when he won an amazing 30 races from 32 starts). In 1986 having fulfilled all his fell running ambitions, Kenny decided to turn his considerable running talents to the marathon. He set a personal best of 2.11.36 when finishing second in the 1989 Houston Marathon. Later that year Kenny’s athletics career came to a premature end as a result of persistent allergy problems. Having previously given up his job to concentrate full time on his running career, Kenny then returned to college to study horticulture and is now employed as a horticultural technician. In December 1985 Kenny married Pauline Haworth and their children Matthew, Emma and Rosie all compete successfully in junior fell races. Pauline was a very successful fell racer in her own right and her career and training methods are profiled in separate article. Early development Kenny’s running career began as a school boy where he represented his school, district and county in cross country races. Between the ages of 14 and 18 Kenny competed in junior guide’s races, but with only limited success. 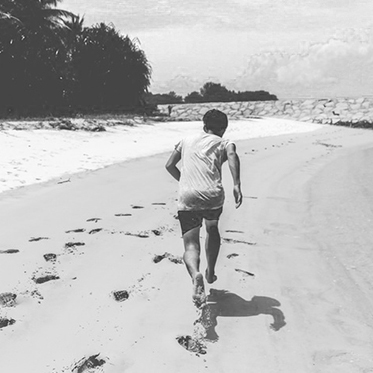 Kenny attributes this early lack of success to his very slight build, describing himself as ‘a bad runner but very keen!’ From the age of 18 when he started to mature physically his results started to show a steady improvement. Kenny’s light frame provided the ideal build to support his superb climbing ability which he regards as his greatest racing asset. Many pundits have remarked at his outstanding ability to maintain a running cadence on even the steepest inclines – a fact which was not lost on many a demoralised opponent. 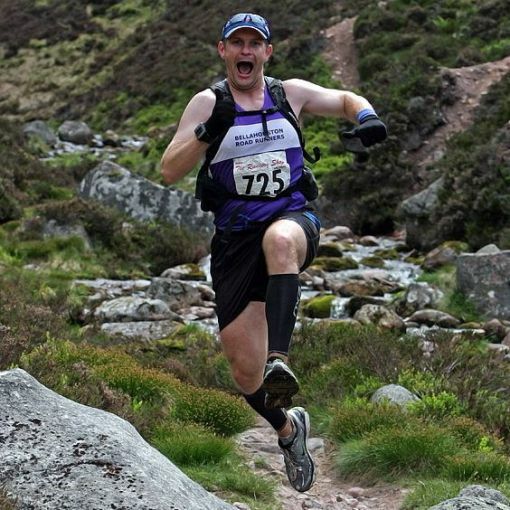 During his fell running years Kenny was a gardener by trade and in common with other top Lakeland runners had the difficult task of balancing the demands of a heavy training and racing programme with a physical job. Kenny has never undertaken any formal structured strength training feeling that his gardening work provided good all-round body strength and mobility (particularly in the hip and pelvic areas). Training for the fells Kenny would generally train twice a day throughout the year. Starting work at 8.00 am, the first session would take place during his lunch break utilising nearby wooded trails. Finishing work at 5.00 pm in winter generally meant that sessions were on tarmac roads around his home in Threlkeld. At weekends with more time and daylight available Kenny was able to train around the steep grass slopes and rock ridges of the Blencathra range which rise impressively above his home. Winter mileage would generally be around 80 per week. The hill rep sessions were run VERY HARD and would not be included in the same week as a race. Kenny has felt hangover fatigue from a Tuesday hill session on Saturday! Kenny regards himself as a racer rather than a runner consequently he had only one approach to racing and that was ‘all out’. He didn’t believe in easy races and limited his racing programme to avoid mental as well as physical fatigue (he had to turn down the many invites to local races which followed his successes). Although successful across all distances Kenny felt he was best at medium races with steep grassy ascents and descents. 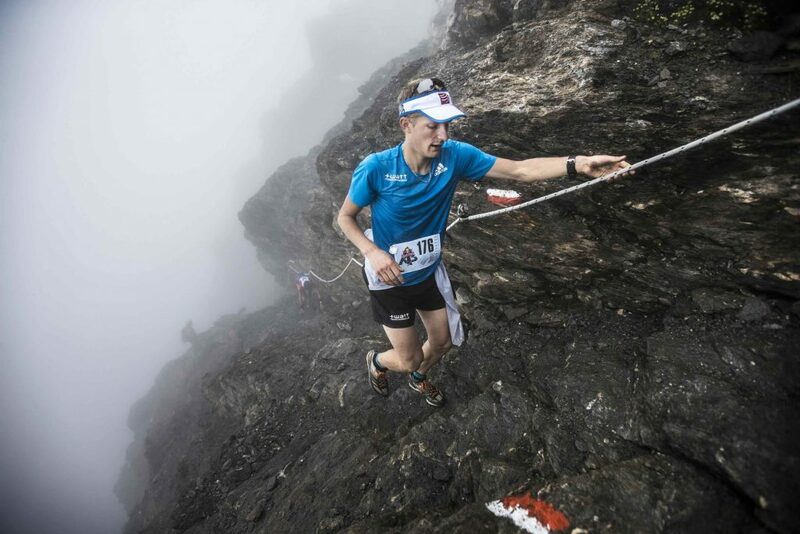 He didn’t enjoy rocky terrain and had problems navigating in misty conditions in long events. Pre-race tapering for Saturday race would commence on Thursday with two 20 min easy runs (3 miles) and one 20 min run on Friday. For important long races the taper might begin a full week ahead and he would also increase intake of complex carbohydrates in the final few days before the race. In his early days he had problems with muscle cramps towards the end of races which he puts down to inadequate tapering. Kenny is adamant that fell runners should avoid running in the hills in the three days prior to a race. loosening exercises prior to starting the journey. Kenny did not regard himself as an outstanding descender on rough ground, although he felt he could hold his own against anyone on steep grass slopes. He believes that the very best descenders (Billy Bland, Ian Holmes) are born with the naturally quick reflexes, agility and confidence. Kenny does believe, however, that this particular skill can be improved through experience gained descending in races and on long easy runs over rough ground. The most significant factor is probably ‘confidence’ and this can grow with experience and practice. Kenny has always believed in maintaining a high protein intake as part of a runner’s overall diet and this should include eating adequate quantities of red meat. 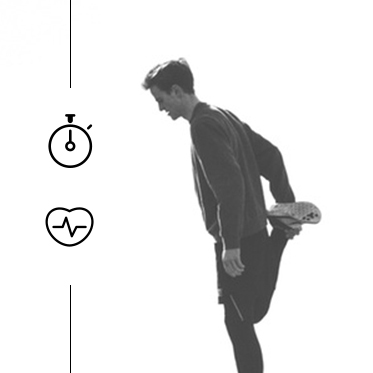 He believes that fell running is more physically demanding than other running events and the need to maintain low lean body weight is therefore critical. He likens this to the best performing fox hounds who tirelessly work the high fells during the hunting season. He believes that the best way to achieve this optimum physique is through limited overall intake of good quality food including a healthy proportion of protein. Kenny is also sceptical about the current trends in food and liquid intake before and during fell races; he never ate during races and only drank small quantities of plain water in long races in hot weather. Whilst he would always advise runners to guard against the dangers of dehydration he doubts whether the body of a top fell racer under the severe stress of competition would be able to utilise any food or liquid that might be taken on board during a competition. He also points to the recent reports on the dangers of excessive intake of pure water in hot conditions (hyponatremia). Kenny has always tried to prepare his body for the specific stresses of competition and this means dietary aspects as well, for example he has experimented by getting up early to do a 20 mile run and only taking two cups of tea prior to the run in order to simulate the conditions of a long race early in the day with limited food and liquid intake. Kenny’s advice for ambitious fell racers is to take time to build a training base and include lots of hard fartlek sessions. He also stresses that a fell racing career is a passing phase that will end at some time, so maintain a balance of interests in your life and have an escape door ready in case things go wrong. Copyrights © 2019 Mud Sweat and Tears. All rights reserved.